The Netflix movie “Like Father” offers laughs, but doesn’t shy away from more serious emotion. The dream wedding of Rachel (Kristen Bell) probably didn’t include getting left at the altar, then spending the evening getting drunk and inviting her estranged father on her honeymoon cruise. Yet, that is exactly where we find workaholic Rachel and her absentee for father, Harry (Kelsey Grammer). This sets the scene for some humorous confusion. Some people on the cruise mistake the father and daughter as a couple and Harry awkwardly explains the situation. However, as the title suggests, Rachel and Harry find they have a lot in common, despite not seeing each other for 25 years. Sometimes this leads to laughs, like when they figure out a way to win at the newlyweds game on the cruise, but also some tears as Rachel and Harry work through their issues about why Harry left her as a child and why Rachel was left at the altar. 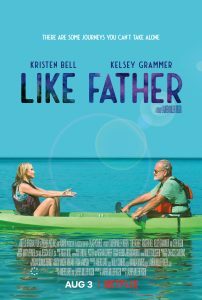 There are certainly plenty of laughable moments, but “Like Father” isn’t as overtly comedic as other comedies. 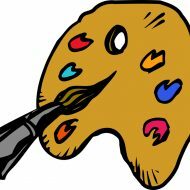 The characters are seriously flawed and grow to overcome their flaws — not through hilarious situations, but through hard and honest realizations. Bell and Grammer shine as the father-daughter duo and they know the right emotions to deploy. They make a perfect pair and are fun to watch throughout. A balancing act of comedy and drama, this film walks the tightrope without falling. This Netflix movie is another solid addition into the streaming services’ patheon of original content.